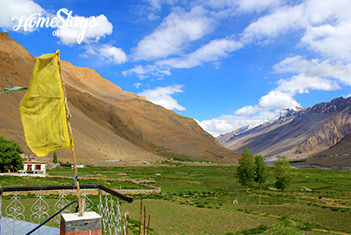 The capital of Spiti and very strategically located Kaza is an important pit stop for people traveling around Spiti Valley. 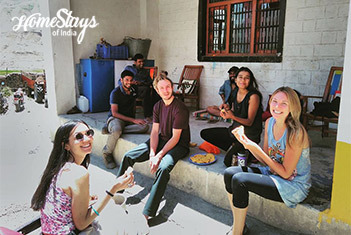 Situated at a towering altitude of 12,500 ft on the left banks of Spiti River, Kaza also is the starting point for trips to Ki Gompa and the villages of Kibber, Chichem Langza, Hikkim, Komic and Demul and a good place to organise treks in Spiti. It is accessible through Kinnaur throughout the year and from Manali from June to Oct only for Kunzum Pass remains closed due to heavy snow. 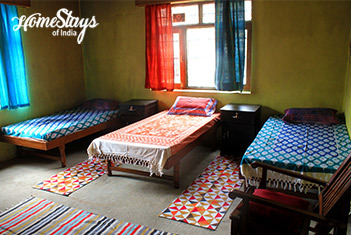 It’s a very tastefully designed homestay, ideally located away from the hustle bustle of Kaza yet very close to the main market, just 15 min walk from Spiti River. 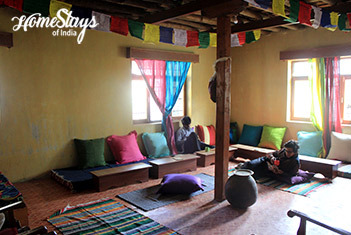 Overlooking the sweet pea fields, the homestay practices environment conservation, hence is a local weatherproof mud house. 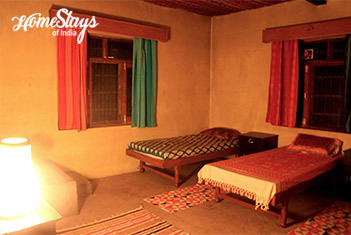 There are 3 rooms, consisting of 4 beds each in first and second rooms and 3 in the third room. Evening guitar and jamming sessions is a usual thing at this heaven for real travelers. 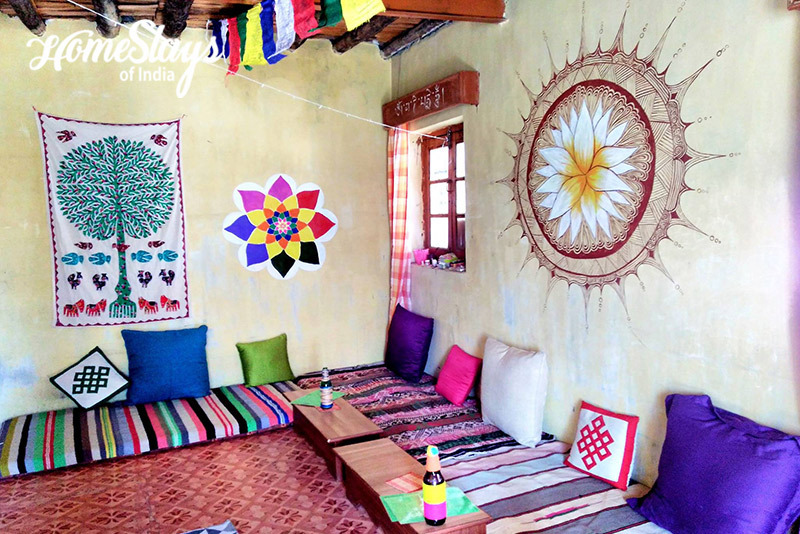 Tanya, who after spending her life in corporate and traversing through the Himalayas, finally found home in Spiti. 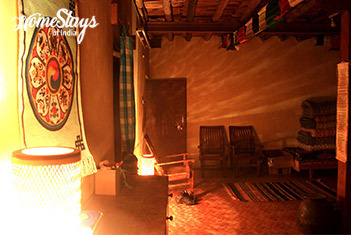 Apart from hosting and interacting with guests, she also teaches Yoga and conducts guided river side Meditation Sessions. Food is freshly prepared – Spitian and Indian. There is a café of its own where you can order continental food with a variety of tea. You must try its Sandwiches and Pancakes.